DeLena Ciamacco: The Real Estate Expert: NEW LISTING IN GAHNNA! OVER 4,000 SF MULTI-USE BUILDING! 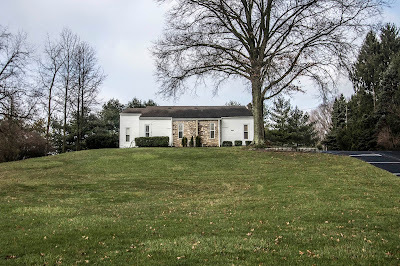 Over 1 acre mature treed lot overlooking woods & near The Gahanna Golf Course. The building is currently being used as a Church but could be perfect for a small school, daycare, health care business or offices. Currently zoned RID with a Variance for L-SO. 3 finished levels. 4-5 offices plus a large Meeting/Assembly Room. Parking for over 22 vehicles. Full, partially finished Basement walks out. 2nd curb cut on site. Many recent updates. City water & sewer. Gahanna schools. Only $369,900! Call DeLena today!